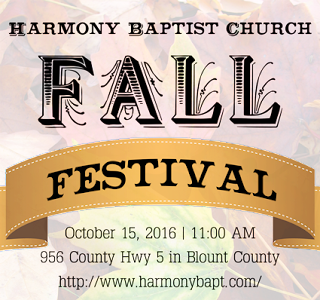 Join us October the 15th, starting at 11:00 AM for a fall festival in Blount County AL. (County Hwy 5) for family fun. Free Event. We will have games, prizes, and a hayride; hot dogs, cake and pie contest, s'mores and more.